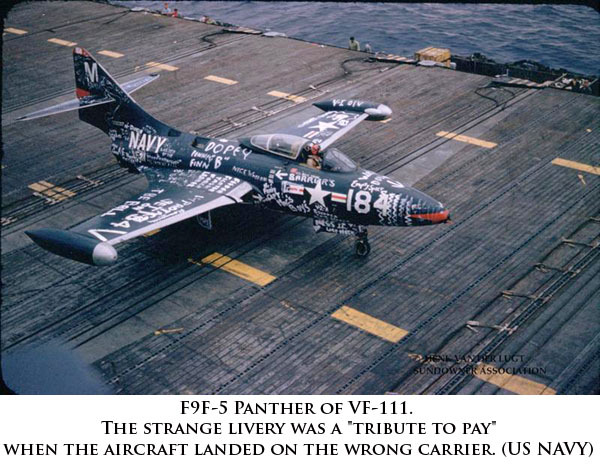 When there used to be more than one carrier in a task group, if an aircraft landed accidentally on the wrong ship, some fun was had before sending him “home”. 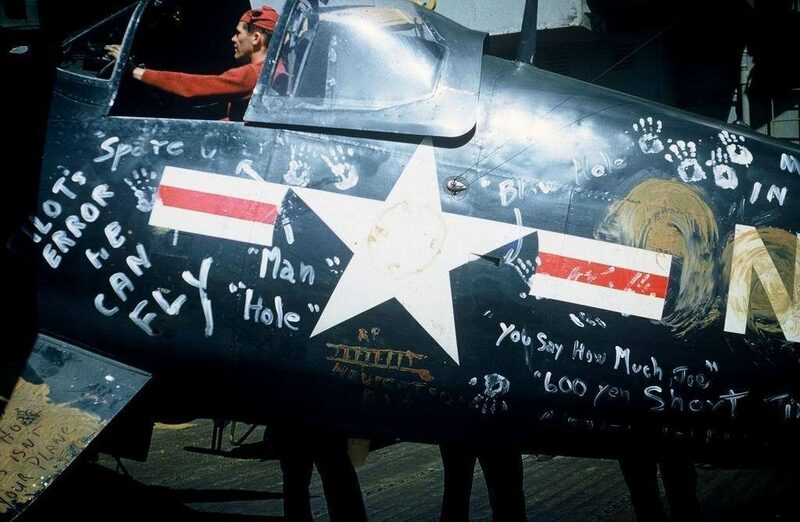 Imagine doing this today. 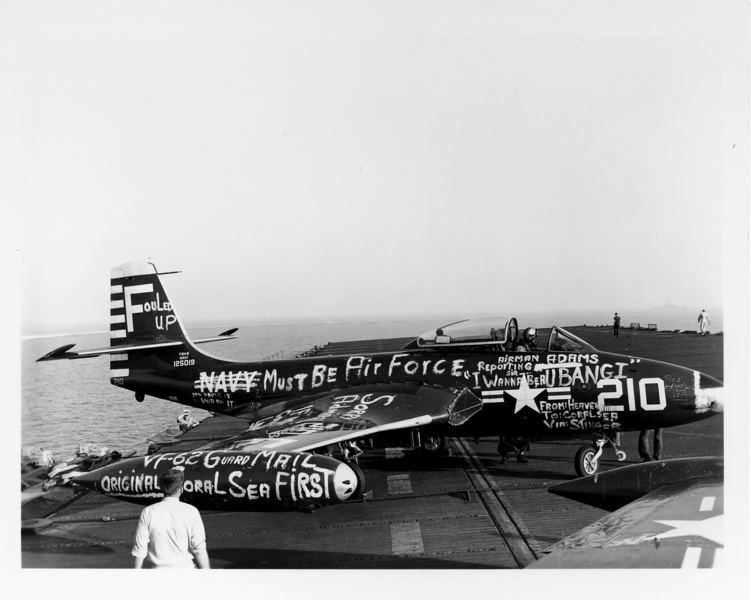 “Must Be Air Force” A U.S. Navy McDonnell F2H-2 Banshee (BuNo 125019) of Fighter Squadron 62 (VF-62) “Gladiators” from the aircraft carrier USS Coral Sea (CVB-43) after it had landed aboard USS Wasp (CV-18) in 1952. 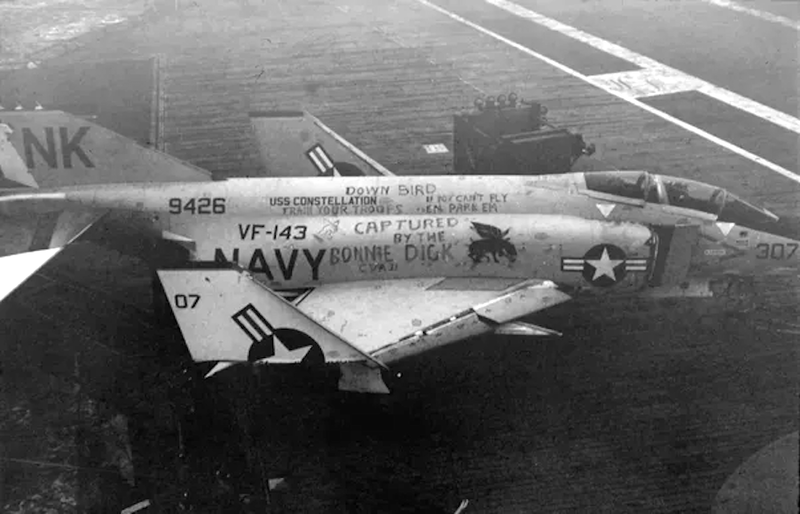 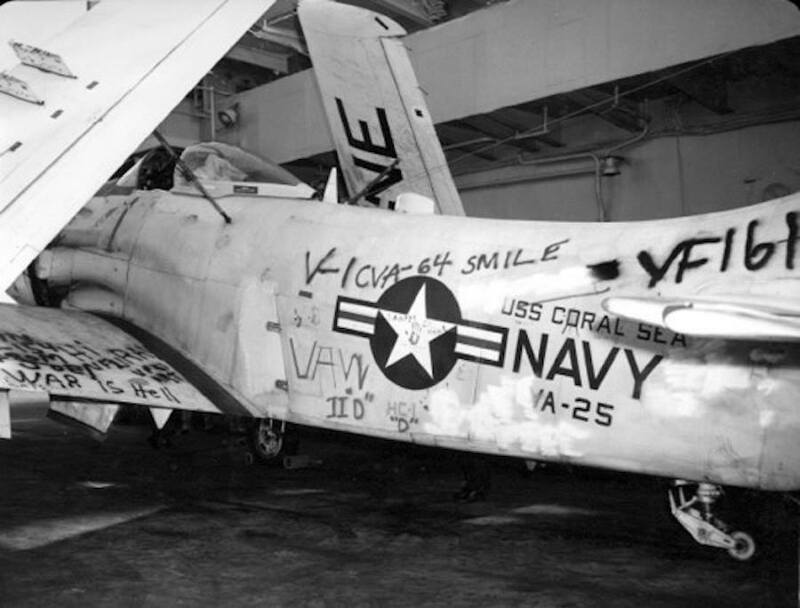 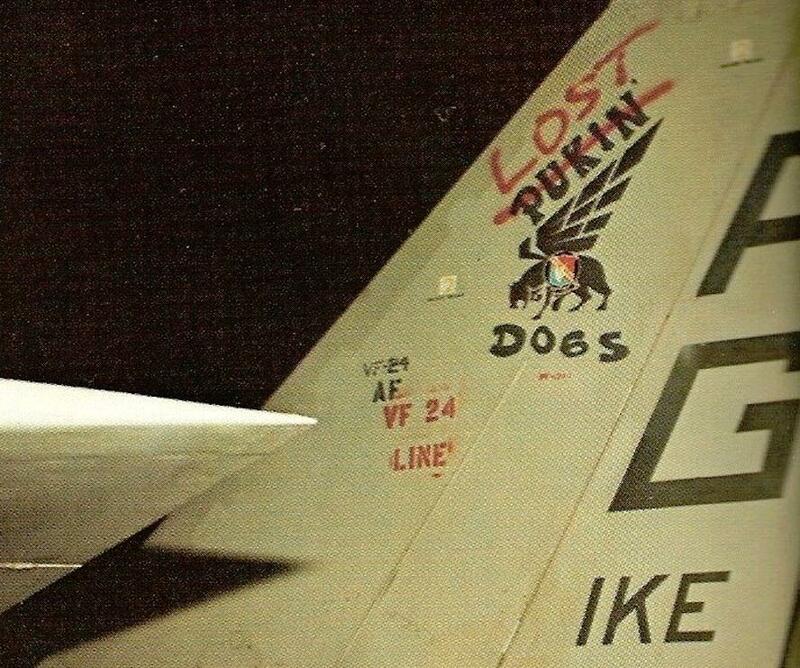 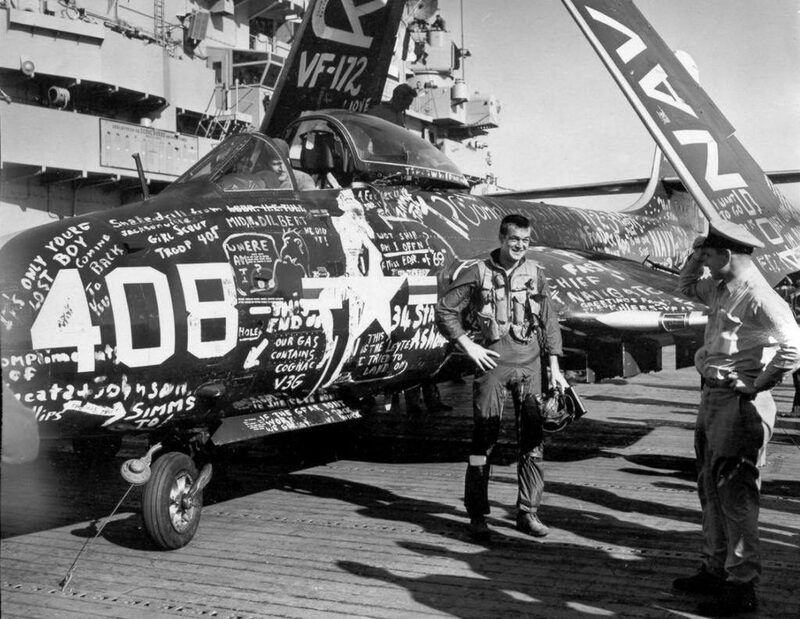 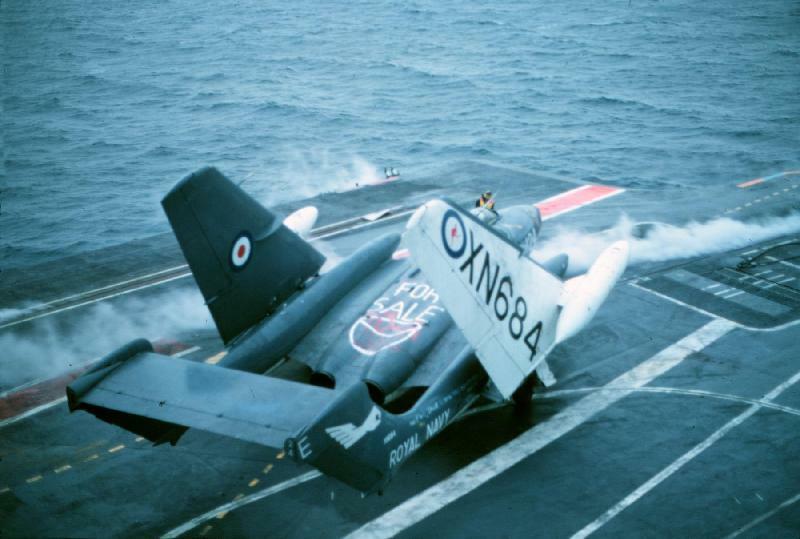 F2H-2 Banshee Pilot from VF-34 appreciates the subtle humour at his misfortune. 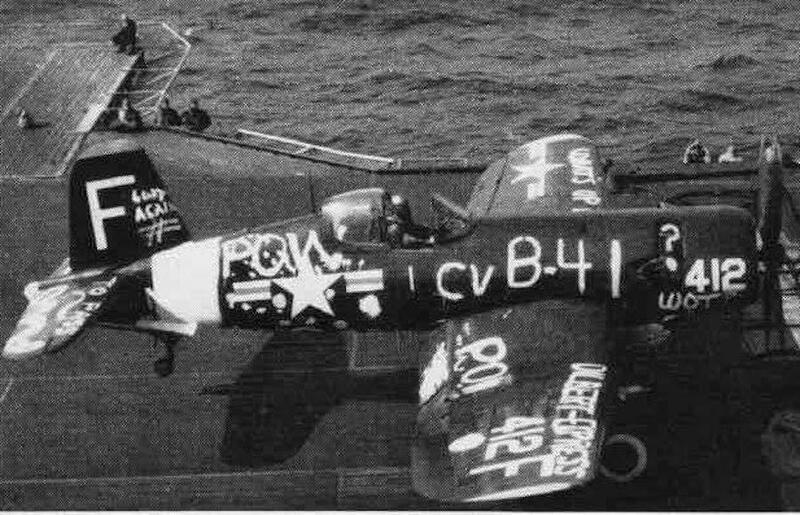 This Corsair also failed to escape the dishonorable markings of a wrongful carrier landing. 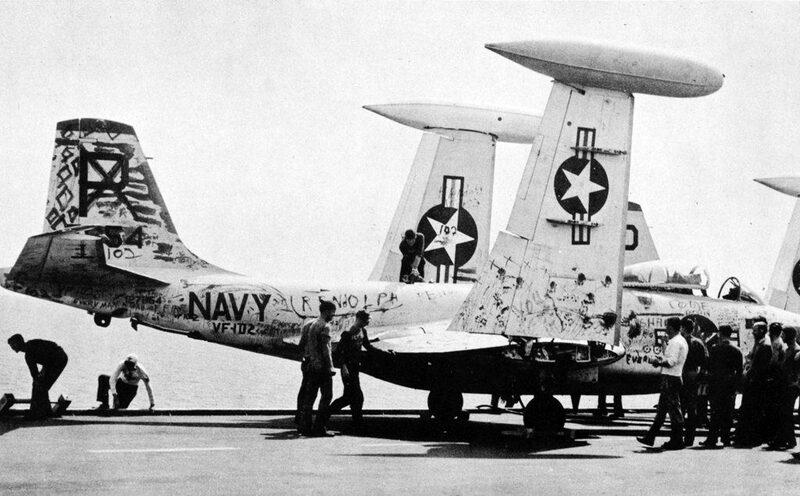 A little tail work in honor of the misadventure of this Pukin Dog Squadron plane. 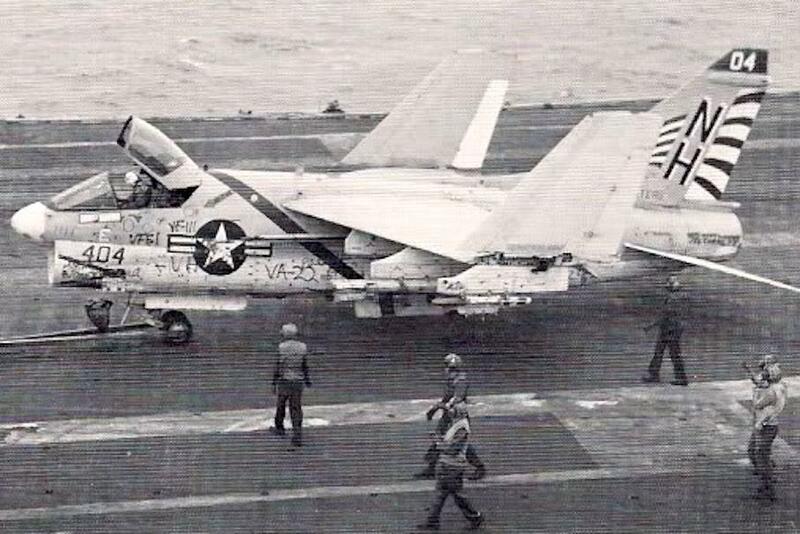 Next articleTwo Tomcats aboard the Russian aircraft carrier Admiral Kuznetsov, undisclosed time!